Join Robin Hood in Nottingham as he robs the rich and gives the money to the poor. 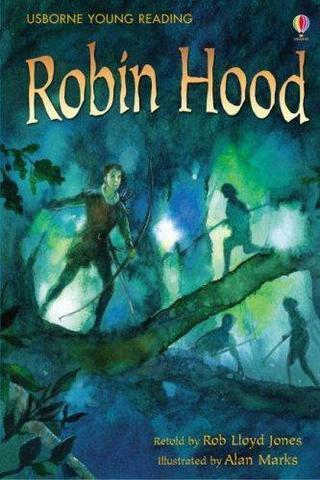 From his camp in the eerie Sherwood Forest Robin recruits a gang of outlaws to help him fight the corrupt Sherriff, all the while trying to win back the heart of Maid Marian. QED has chosen four fantastic adventure stories for boys to continue our successful series Classic Collection! Carefully retold in clear contemporary language, and presented with delightful illustrations, these favourite classic stories will capture the heart and imagination of young readers. By retelling the story in a shorter, simpler form, children will find these books highly engaging, and the colour illustrations help with both comprehension and interest level.